We're still in Canada, enjoying the much more milder than Texas weather. This week, F&B took in their very first baseball game (Buffalo Bisons) and we had friends over for a barbecue. 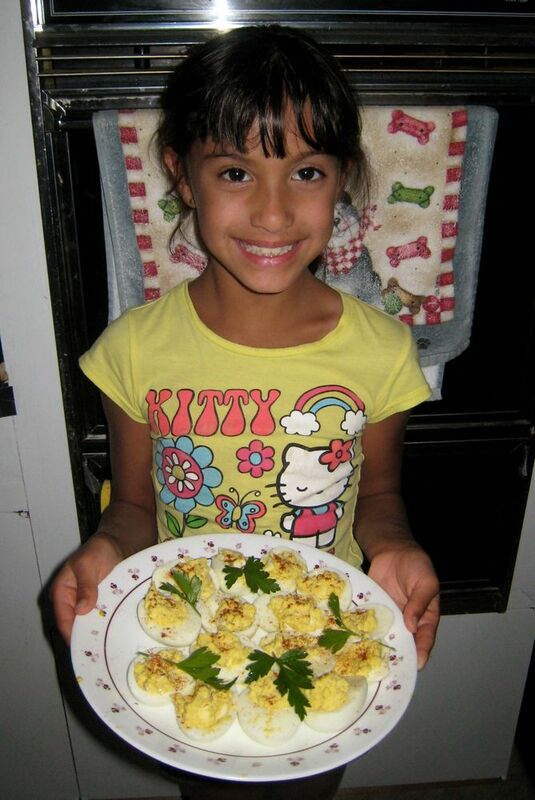 Faith made deviled eggs all by herself for The Kids Cook Monday! She even sprinkled the paprika and added the garnish, and was very impressed with herself to serve them. That's cool that your kids do so much. I worry that mine can't, but then realize that they probably could do certain things if I'd just relax and let them try.... even if it does mean a bigger mess and take longer.